We all deserve to feel confident within ourselves. Having a wardrobe that helps increase that confidence, so you can simply walk in, choose an outfit you know you’ll feel fantastic in, and go out is something that can not only be time-saving, but also truly life changing. As the new year sets in, I propose you have a resolution that you can stick to – make your wardrobe and clothes work for you, rather than against you. So often we spend our valuable time and energy going through wardrobes which don’t serve us or make us happy. I propose 2019 is the year you make a difference! Spend some time going through your own collection of clothes, and take the pieces that you don’t wear, or feel confident in, and giving them to a charity shop (or selling them, but I love handing pieces that will bring joy to others and help a charity close to my heart!). These pieces don’t serve you by being there, causing you to question yourself each time you get dressed, and are taking up valuable storage space for items that you do love! You can start your 2019 with a fresh new start, a wardrobe that works for you, and helps you to feel ready to take on the year with confidence! Here are my tips to helping you get started on that all-important wardrobe edit. Give yourself time – don’t rush through your wardrobe clean-up. Get yourself a cup of your favourite drink and make it an enjoyable, freeing experience. Listen to your gut instinct – if an item of clothing makes you feel anything but positive, then it’s time to remove it from your wardrobe. If you are unsure, then place it in your wardrobe, with the hanger facing the opposite way to your other clothes, if in a month you haven’t worn it, that means it’s time to get rid of it. 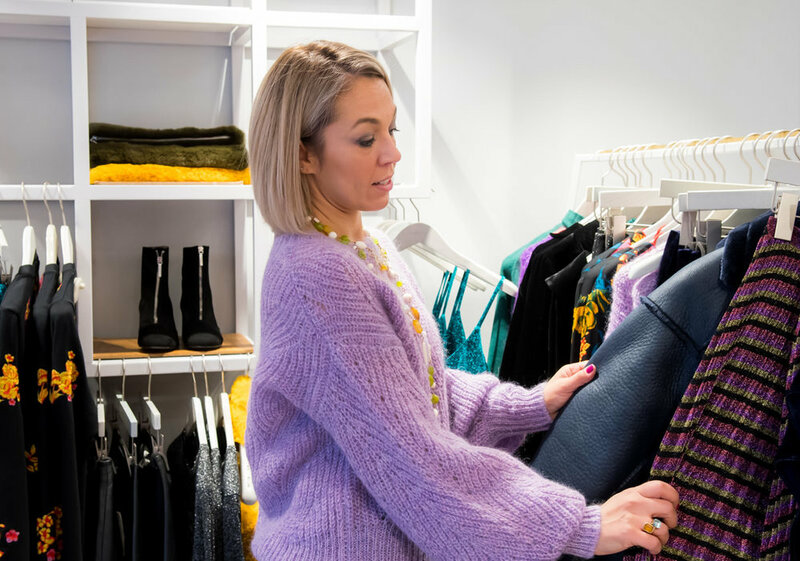 Make it seasonal – unless you feel confident enough to match a summer dress with a lovely woollen jumper, you will probably have seasonal items taking up your wardrobe space. Take out any items that won’t suit the current climate, and place them neatly into a storage container, and put them away. A clean and seasonal wardrobe is a happy wardrobe! You can then go through these items before the new season comes in and take the same clear out process with these items before placing them into your wardrobe. One of the toughest things my clients have when we go through the wardrobe edit is knowing what style most truly reflects them. This can often change throughout our lives, as we age, get new jobs, become parents, or simply feel a new personal style is more appropriate. Once we get to grips with the styles that not only suit our body, but more importantly suit what we want to project to the world, then our confidence can shine brightly. It makes it easy to shop and find new clothing that we will want to wear every day! If this feels overwhelming to you, or you’d like some support and professional assistance in choosing the items in your closet which will look the best on you (as well as removing those which do not serve your personal style), then I’d love to chat. Please feel free to comment below if you’re hitting a roadblock, or have any questions, or call me to see how we can work together to make your confidence shine brightly.